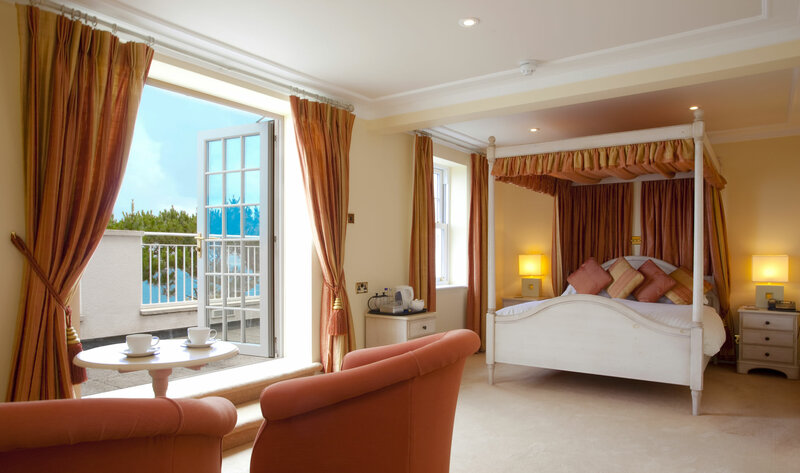 Imagine a hotel in which you are instantly swept into a state of blissful being. 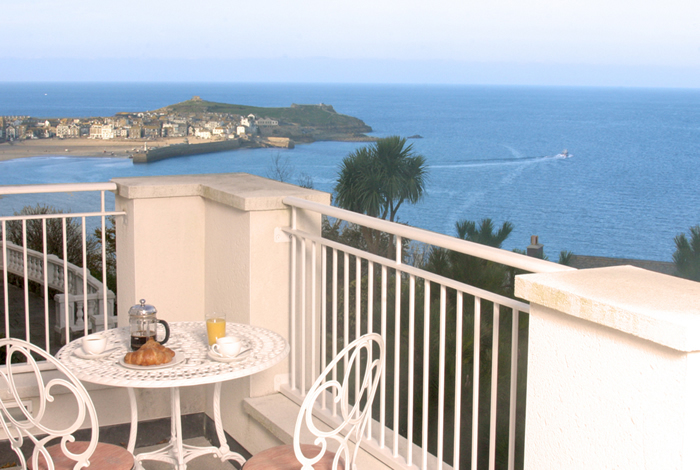 Where oceanic vistas form a beautiful backdrop and sunrise and sunset seem to linger a little longer than anywhere else. 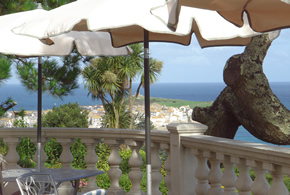 Stepping out onto the private terrace supping on champagne whilst surrounded by tropical palms and sublime seascapes on a balmy summer's night, you feel as though you could be anywhere in the world........ 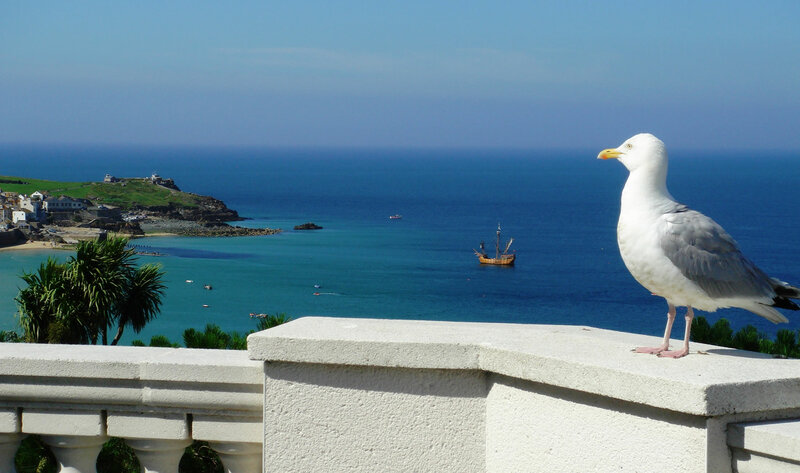 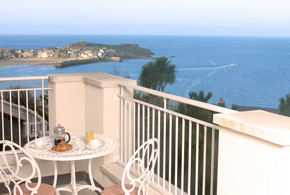 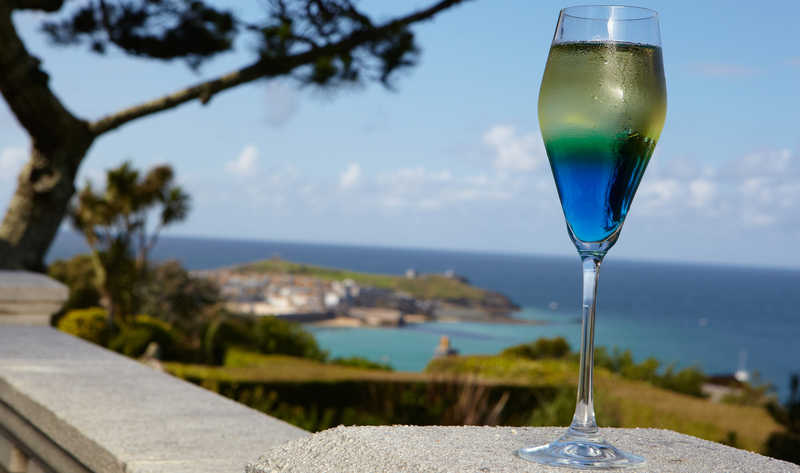 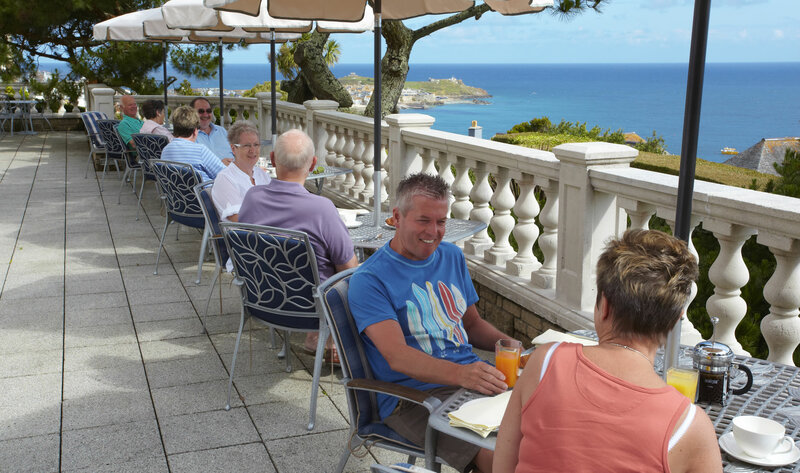 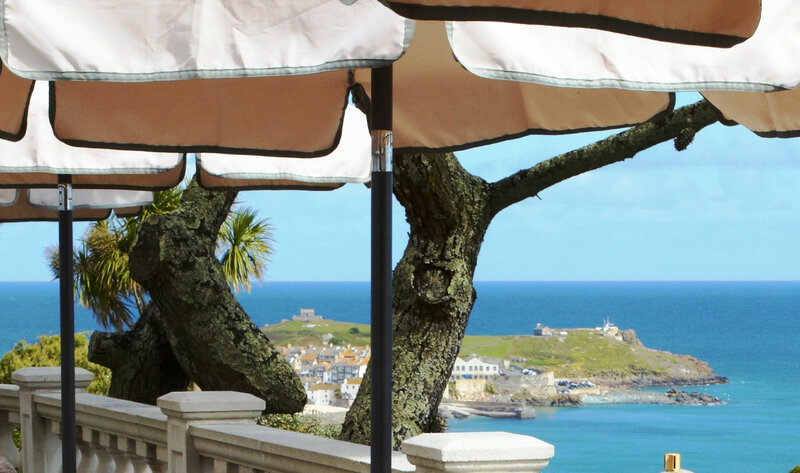 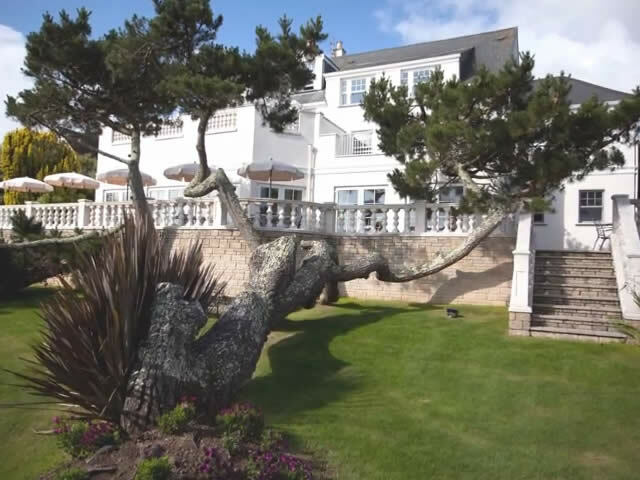 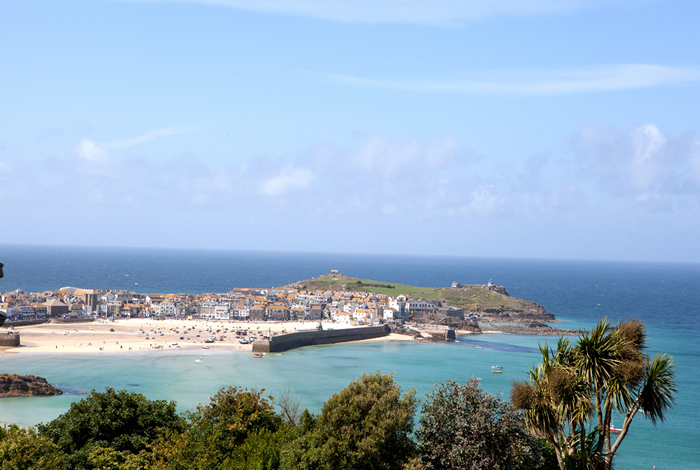 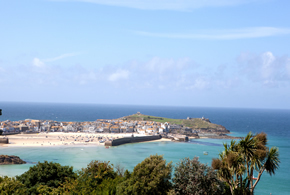 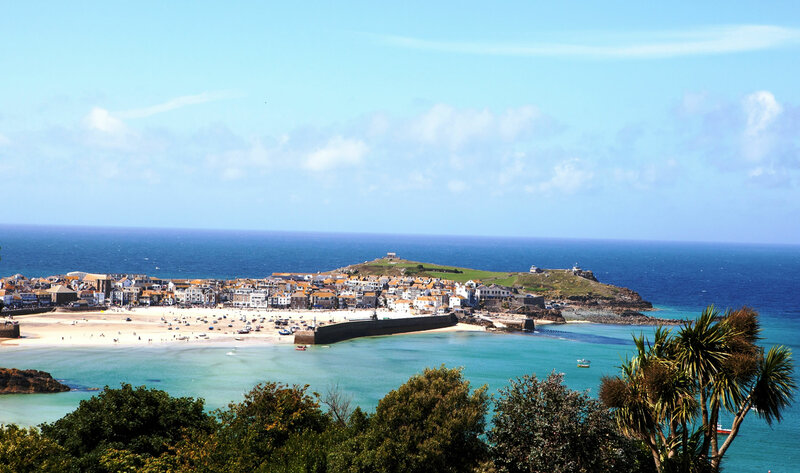 The Blue Hayes Private Hotel is perched on the hill rolling into St Ives, affording spectacular, almost-aerial views of the Bay stretching from the harbour and island to Godrevy lighthouse. 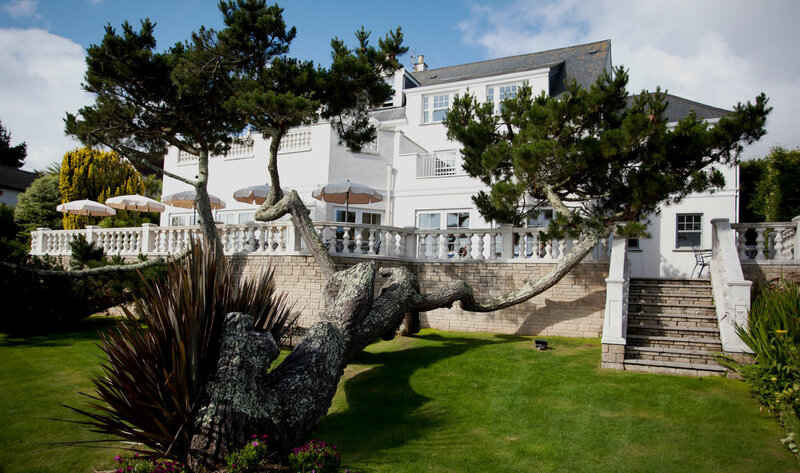 The private landscaped gardens offer guests a green oasis of calm and beautiful surrounds. 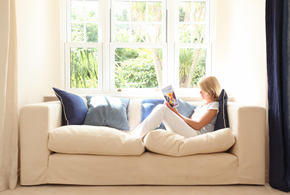 Ideal for reading, napping or simply lounging amongst with a glass of wine or afternoon tea. 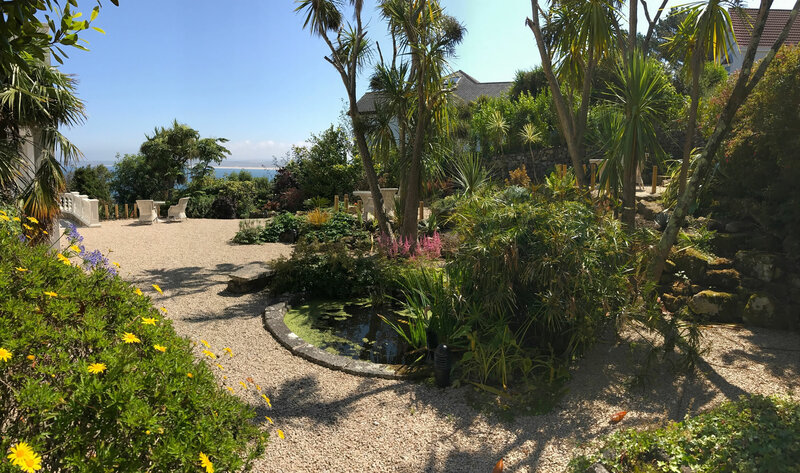 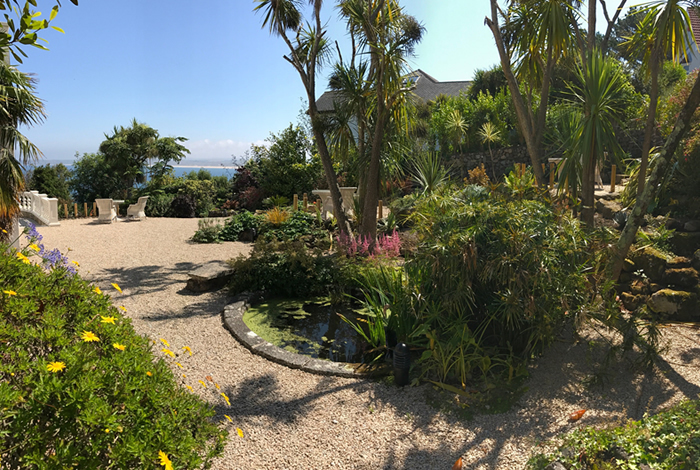 The garden gate leads directly onto the coastal path meandering downhill onto Porthminster Beach, situated just minutes away, and then onward to the harbour and town where a bevy of coffee shops, restaurants, art galleries, shops and stunning coastal scenes eagerly await. 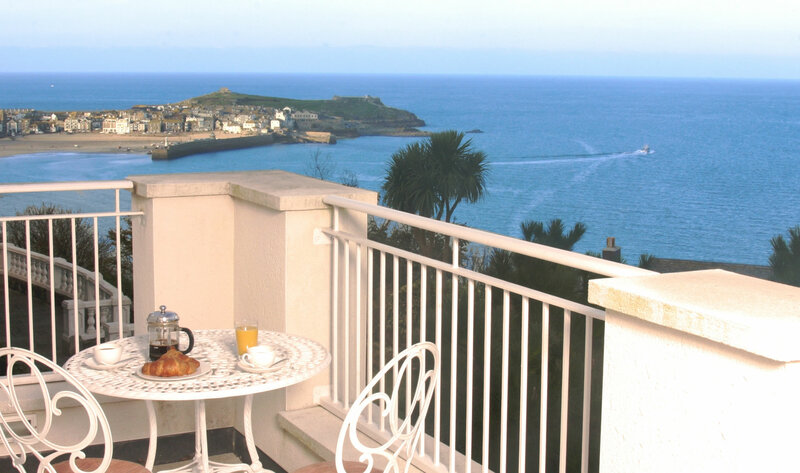 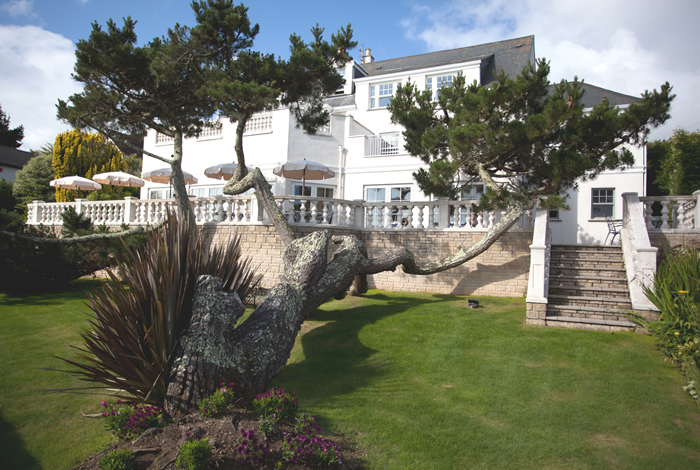 From doorstep to garden, everything about the Blue Hayes Private Hotel is homely. 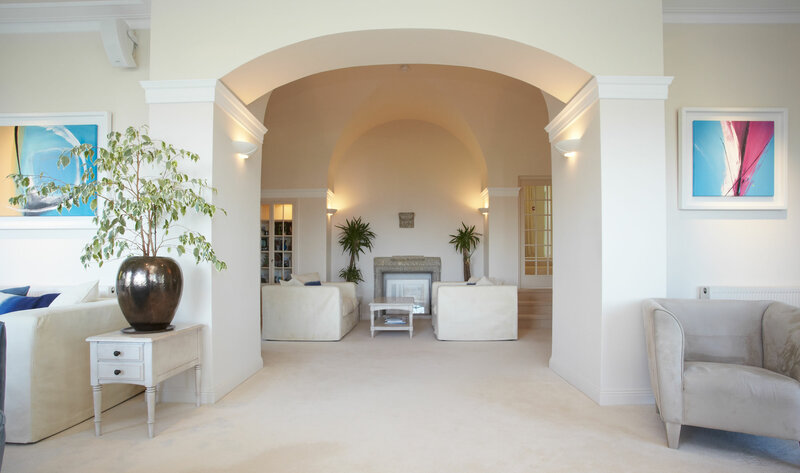 Even upon entering the main door, you instantly become resident of a gorgeously plush and intimate abode. 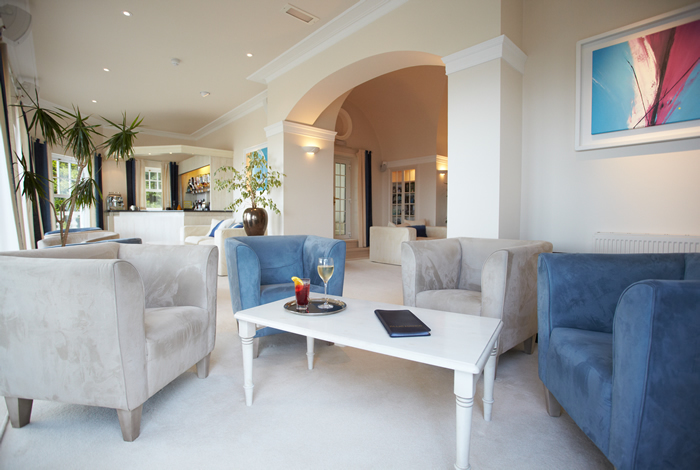 The clotted cream carpets and sleek interiors wind downwards into the Cocktail Bar and Dining Room that open up to reveal stunning views of the ocean and coastal towns nestled along its edge. 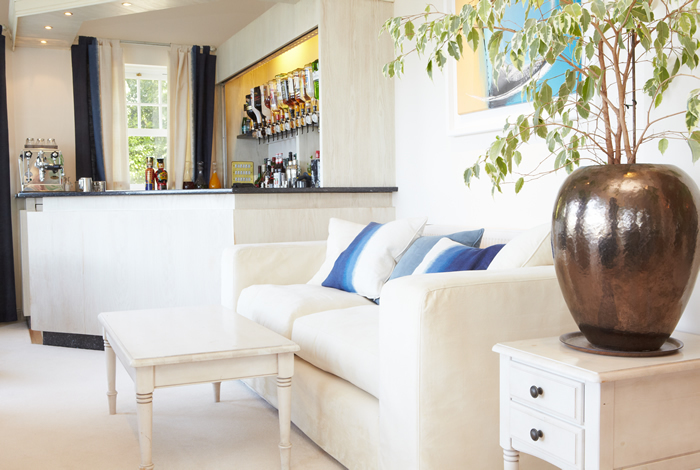 Couches and coffee tables are scattered throughout the open plan Cocktail Bar that spills out onto the private terrace where you can enjoy food or drinks whilst in the company of coveted seascapes and lush, tropical palms. 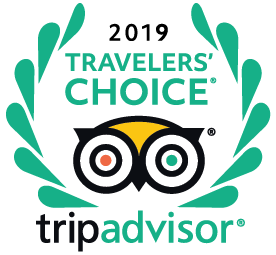 An escapist's dream destination, the award-winning hotel is an exclusive bolt-hole that caters to guests' every whim with an informal, friendly and polished approach. 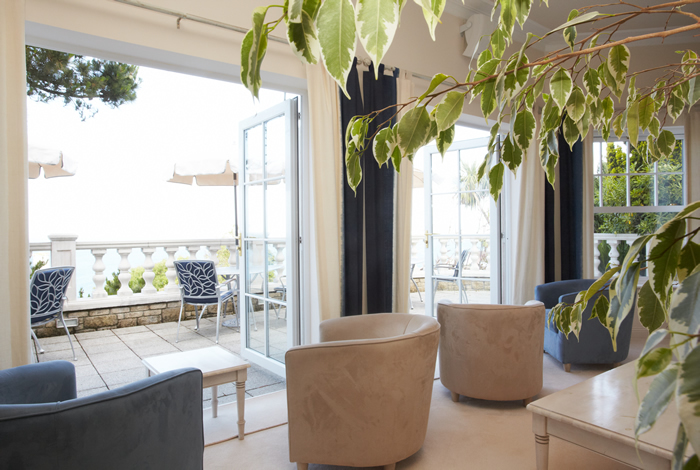 Providing all the modern facilities required for a convenient, comfortable and lavish retreat, expect the best amenities and service for a superb stay. 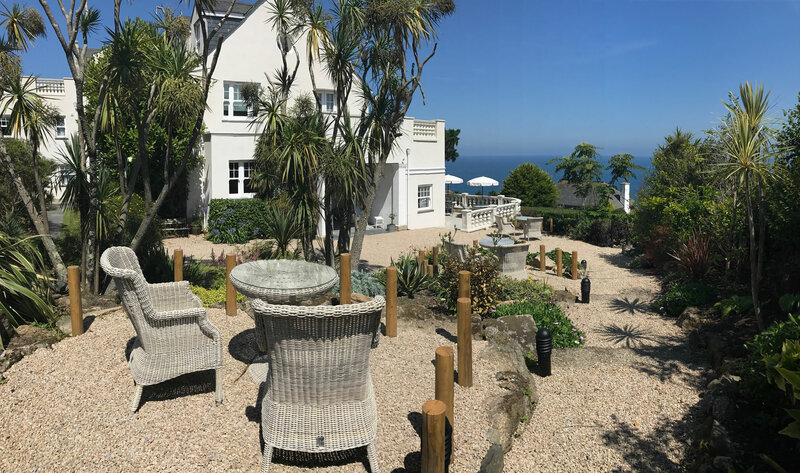 Being utterly private, the hotel offers fuss-free accommodation, accepting only advance bookings and no children under the age of ten in order to maintain its ethos of serene and luxurious living. 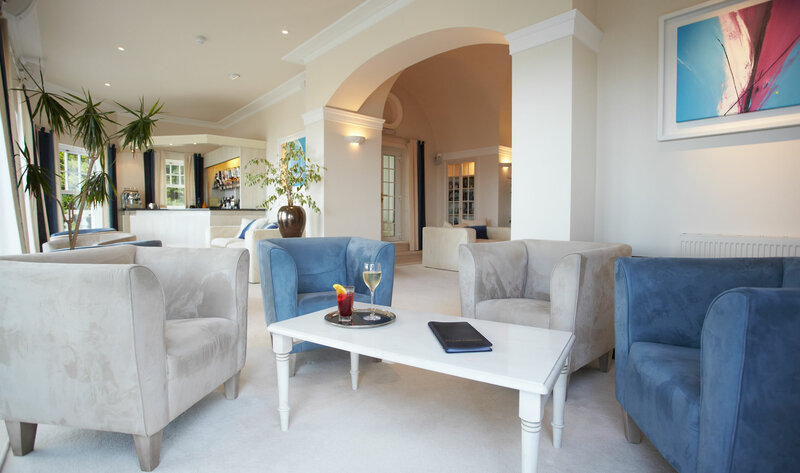 In short, Blue Hayes is the perfect place for you to loaf in luxury - your own personal piece of homely heaven where peace and tranquillity envelops you for an unforgettable experience of sheer indulgence. 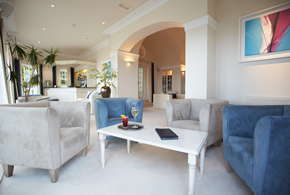 "There are some excellent hotels, but none that deliver the personal touch and luxury so successfully as Blue Hayes"
"I have never seen any hotel room in such a perfect condition - as if it had been remodelled the morning before we arrived"
"The Blue Hayes is the benchmark for a private informal hotel"